Tom Du Croz from LondonGigGuide selects five small/medium gigs around town this week. A truly mad all-night party to celebrate the end of the summer — this is what Passing Clouds do so well. Fancy dress is optional but recommended — see the notes the organisers have provided. Imagine a woodland creature covered in multicoloured glitter and you will get the picture! 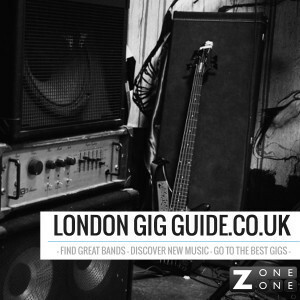 For more upcoming gig recommendations and to hear LondonGigGuide’s weekly radio show, visit the website.